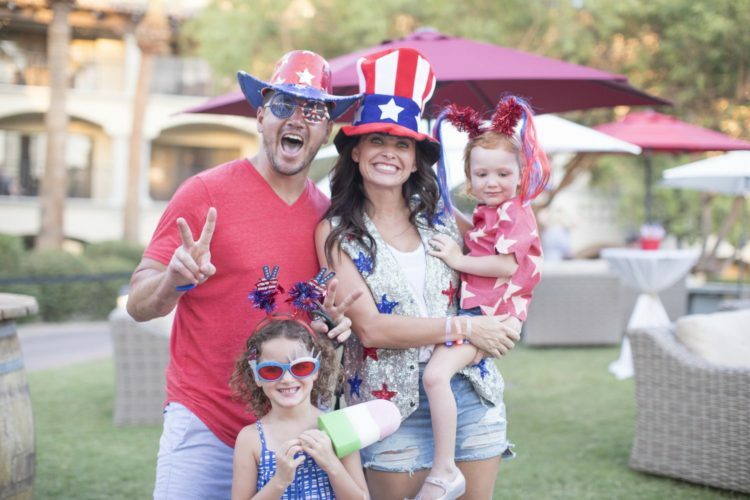 Celebrating our star-spangled country shouldn’t be limited to just one evening which is why the Fairmont Scottsdale Princess is lighting up the night sky and letting the red, white and blue reign all week with their 8th Annual 4th of July Freedom Fest. 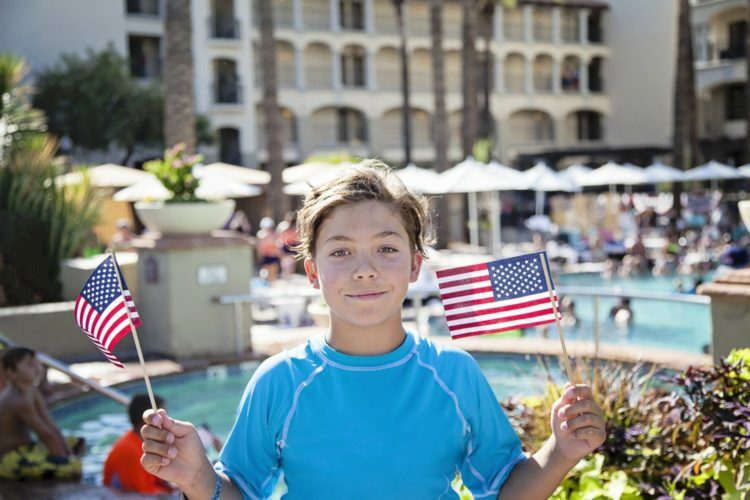 From concerts and fireworks to poolside parties and a vintage air show, the family-friendly resort is the place to be for the red, white and blue. Guests can enjoy a full-out firework show every night at 9 p.m., June 29 – July 4, plus even more patriotic fun during the evenings of July 2 – 4. Take a peek below at all the fun offerings — plus ways to save big on a stay! Salute America’s heroes with a Falcon Warbirds air show on July 4. Flying over the resort and piloted by retired veterans, 30 vintage military aircraft from WWII, Korea and Vietnam will take to the skies while grounded guests can wave mini flags and cheer on the planes. The show will be topped off with a military parachutist from the All Veterans Parachute Team that will land with American and military flags to boot. What’s a celebration without music and a show? The Princess Lagoon Lawn will host live music for its tribute concerts while fireworks will create a dazzling display in the night sky. The performances are complimentary for overnight guests and those dining in one of the resort’s four outlets. Keep cool all week long at the resort’s many pools, including the newest and largest Sunset Beach, decked out with sand, cabanas, swimming mermaids and foam parties. The Sonoran Splash pool with its 200-foot waterslides will host games and music and at night enjoy the H2/Glow Party with fog, lasers and LED hula hoopers. Don’t miss the red, white and blue frozen drinks and watermelon eating contests. 4th of July Freedom Fest VIP Gold Package: Ideal for couples, this package adds even more sparkle to your 4th of July celebration. Offering a more exclusive experience, enjoy luxury accommodations in the newly-renovated Fairmont Gold Junior Suites, a patriotic welcome amenity, personalized bath products, complimentary daily breakfast and afternoon hors d’oeuvres in the Fairmont Gold Lounge, reserved VIP seating at the Freedom Fest concerts, complimentary access to Well & Being Spa and self-parking. Available July 2-4 with rates starting at $379 per night. Best. Summer. Ever. Package: Book this package for July 4 and beyond which includes a $50 daily resort credit that can be used towards the spa, dining or a 20-minute session with the resort’s new Instagram Concierge. Rates starting at $179 per night. A portion of the proceeds from the 4th of July Freedom Fest will benefit Friends of Freedom, a non-profit organization dedicated to supporting veterans, active duty service and their families. For more on the Fairmont Scottsdale Princess’ summer fun, click here.